My name is David Becker. I have dedicated my working life to assisting those who have been victimized by the negligence of others. Notwithstanding decades of service fighting for victims, I continue to be amazed at the callousness with which insurance companies treat injured claimants. It is my mission to ensure that my clients are not victimized a second time by such conduct. My original plan was to be a rock ‘n’ roll star. When it became clear that my skills as a musician would not foster such a career path, my focus shifted to law. After receiving my undergraduate degree from The Pennsylvania State University, I relocated to the State of Florida and studied law at Stetson University College of Law. I am very proud of the fact that I graduated fifth in my law school class and was honored to participate in Stetson’s Moot Court Board. After graduating law school, I earned my stripes seeking justice for those victimized by the criminal conduct of others. In 1988, I became a Prosecutor for the Twelfth Judicial Circuit in and for Manatee County, Florida, prosecuting serious felonies, often those involving habitual felony offenders. 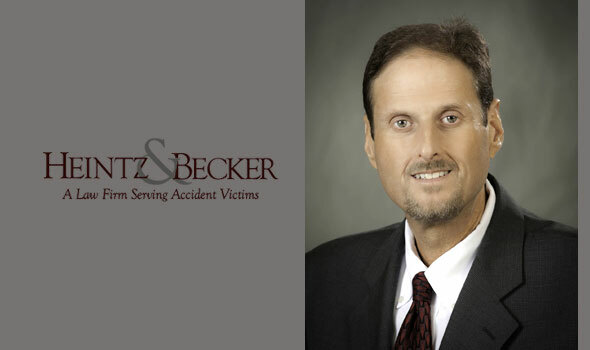 In 1997, I was asked to join Steven E. Heintz in his vigorous representation of accident victims. It was then that I found my true calling. 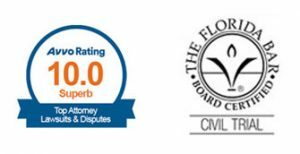 Perhaps my proudest accomplishment since becoming a partner in the law firm of Heintz & Becker is achieving Board Certification as a civil trial specialist in 2010, a certification that a very small percentage of Florida attorneys ever attain. While I am very proud of my professional credentials, my proudest accomplishment is my marriage to my wife, Rina, and my two incredible children, Jayna and Jared.